The first wireless transmission was made in 1892 by Sir William Preece. Soon afterwards, Gugliemo Marconi, a young Italian scientist living in England, found out that radio waves could be reflected into narrow beams by using sheets of metal sheets around the antenna. Marconi had an Irish cousin who helped him take out his first patent. As a result of the interest of the British Post Office he improved the system and was able to send a signal nine miles across the Bristol Channel. Marconi was now making great progress with his work and was able to communicate with a French wireless station that was some 31 miles across the English Channel. Marconi decided to replace the wire receiver with a glass tube filled with iron filings. This was an improvement and on the 11th of December 1901 Marconi transmitted a signal from Poldhu on Cornwall to St John's in Newfoundland, 2,000 miles away. 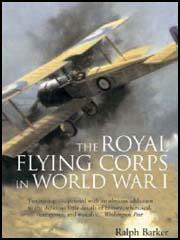 The Royal Flying Corps was established in May 1912. Major Herbert Musgrave was placed in charge of RFC's experiments. This included research into how wireless telegraphy could be used by military aircraft. By the start of the war in 1914 Musgrave and his team had devised a system where pilots could use wireless telegraphy to help the artillery hit specific targets. The aircraft observer carried a wireless set and a map and after identifying the position of an enemy target was able to send messages such as A5, B3, etc. to the artillery commander. The Royal Flying Corps began research into how wireless telegraphy could be used to help home-defence aircraft during German bombing raids. In 1916 the RFC developed a lightweight aircraft receiver and a Marconi half-kilowatt ground transmitter. These transmitters were located on aerodromes in raid-threatened areas. The aircraft receiver was tuned in advance, and the pilot had to unreel a 150 ft. aerial from its drum and switch on. Trials started in May and pilots reported that signals were clearly heard up to ten miles but at longer distances they weakened. Further adjustments were made and by November clear signals could be heard over twenty miles. Pilots could now be informed about enemy aircraft movements and therefore had a far better chance of successfully reaching them before they dropped its bombs on Britain. (1) In August 1917 the RFC introduced a wireless-telegraphy tracking system. Four BE.12 aircraft sent at two-minute intervals in a simple code the number of hostile aircraft, their positions and direction of flight. The following is a RFC report on 31st October 1917. Fighters were put on readiness at 22.38. Four pilots briefly saw bombers, which quickly vanished. Two pilots, Oswell and Lucas, flying BE.12 trackers of No 50 Squadron both signaled their sightings back to base. 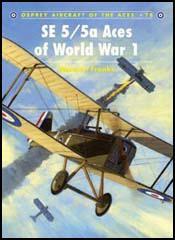 Oswald followed a Gotha flying at 11,500 ft. northwest from Dover. The crew of a Strutter N5617 from Eastchurch picked up the Gotha. They closed in and the observer fired a drum from his Lewis gun. Shortly afterwards they lost sight of the machine. (2) Wing Commander Maurice Baring worked at Flying Corps Headquarters during the First World War. On the 23rd August another memorandum was written reviewing the principles of fighting adopted by the Flying Corps since the Battle of the Somme. The operations of this year bore out and confirmed the lessons of the past, and soon a new factor became apparent. Fighting not only extended upwards, but downwards; low-flying machines with wireless co-operated with ground troops, and attacked men, guns, trenches, transport, and hostile aerodromes. The Germans were a year behind in realising the value of wireless in the air; but once they did realise they lost no time in adopting similar methods and applying them with thoroughness and energy.